After you file for divorce, you must provide notice to your spouse. This is accomplished by delivery of a summons along with copies of the divorce paperwork. The summons indicates where the case is pending and how long your spouse has to respond. It must be delivered personally, usually by a process server or sheriff's deputy, unless your spouse waives her right to receive personal service in writing. If personal service cannot be accomplished -- for example, if she avoids the process server or cannot be found -- most states allow you to provide notice by newspaper publication. This generally requires you to first demonstrate to a judge that diligent attempts to locate your spouse have failed. Some states have automatic orders that go into effect immediately upon filing for divorce. These orders often contain limitations on transferring property, changing insurance and taking any action affecting child custody. Notice of all automatic orders must be provided with the original paperwork served on your spouse. After your spouse has received the initial notice, you may accomplish service of subsequent filings by mail in most states. This includes notice of hearings, such as the actual divorce trial, as well as motions requesting specific relief. Relief might include temporary orders for alimony or child support, as well as a demand on your spouse for payment of all attorney's fees. In extreme circumstances, an ex parte order may be a necessary part of your divorce. 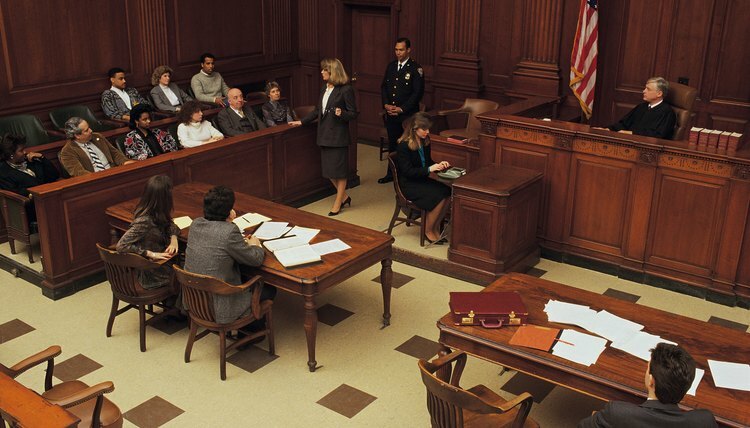 This means that a court grants an order based on your testimony alone without your spouse's participation. These requests are granted only in emergencies, such as restraining orders to prevent further domestic violence, and are rarely granted for changes in custody or financial matters. Because of the immediacy involved in ex parte orders, states generally do not require written notice. Instead, 24 hours of advance verbal notice to your spouse by telephone is usually sufficient, but jurisdictions vary on how much time must pass after notice before a court will rule on the request. Sometimes a couple reconciles their differences and come to agreement on dismissing the case. In this instance, you may file a notice of nonsuit and the case will be dismissed. In addition, if your spouse has not filed a written response to your original divorce papers, you may file the notice of nonsuit without your spouse's consent and the case will be dismissed. However, if both parties have filed pleadings and only one spouse wants to dismiss the case, filing the notice of nonsuit will not affect the other spouse's claims and the divorce will still proceed. Brain Don Levy: What Does Ex-Parte Notice Mean?